The Cross: Don’t Forget the Sorrow! Recently I was conversing with some of my missionary colleagues about death and grieving, and how most of us struggle with working through the sorrow of losing someone we love. The Bible tells us to not grieve as those without hope, but it does not tell us not to grieve. One of the phrases that was said a few times just a few days after Hannah had passed away is that “Hannah is more alive than ever.” While that is true, I didn’t feel that it helped me at the time. That phrase in some way seemed to make me feel like I shouldn’t be sad. I know it wasn’t meant that way, but I didn’t find it comforting. That is not to say that I lost hope entirely. Yet, I felt that it minimized the pain and the deep loss I had just experienced. I should add that I’m more able to receive that word, and I find it more comforting now that I’ve had some time to grieve and process Hannah’s home going. I still feel the sadness at times, and it hits me at unexpected times. It’s not as frequent as it once was. In some way, I find it hard to explain the emotions that I go through. The realization that my daughter is no longer here, and that I can’t talk to her anymore. We can’t do together any of those things we had dreamed of. As I conversed with my missionary friends, one of them, Bill Yarbrough brought up some thoughts of a friend of his, who just happens to be a nun. She said that she feels we move on from the cross too quickly to the resurrection. We forget the pain involved in Jesus’s death on the cross, and that his mother and his friends felt deep sorrow. They didn’t realize at the time of his death that Jesus would rise from the dead. Thanks be to God that Jesus did rise on the third day! Now that I lost my daughter, and I have suffered deep loss I am grateful for the man of sorrows, who’s acquainted with grief. He comforts me in my loss. He stays with me. He gives me hope, and lifts me out of the pit when I fall in. I believe the Lord has some awesome and wonderful mysteries for me to learn as He embraces me in my loss. We live in this broken world, scarred by sin. The enemy of our soul comes to kill, steal and destroy, and he will do anything he can to hurt us. This too is one of the effects of the fallen world we live in. That is why all of creation groans for redemption. We long for the new creation. We long to be in the place where there will be no more loss, no more suffering, no more sorrow. The place where we will see our Savior, the lover of our soul face to face. We will be reunited with those we love. I can’t wait to see my daughter again. I can’t wait to hug her again. If there are any tears they will be tears of joy! I sense Jesus among us as Dawn and I minister on the border. God is doing a number of marvelous works. On Friday I met with the leaders who represent the National Presbyterian Church of Mexico on the border and throughout the Baja. We discussed candidates for our first ever church planting readiness evaluation in Tijuana for this group of churches! You might say this is a historic event for them. 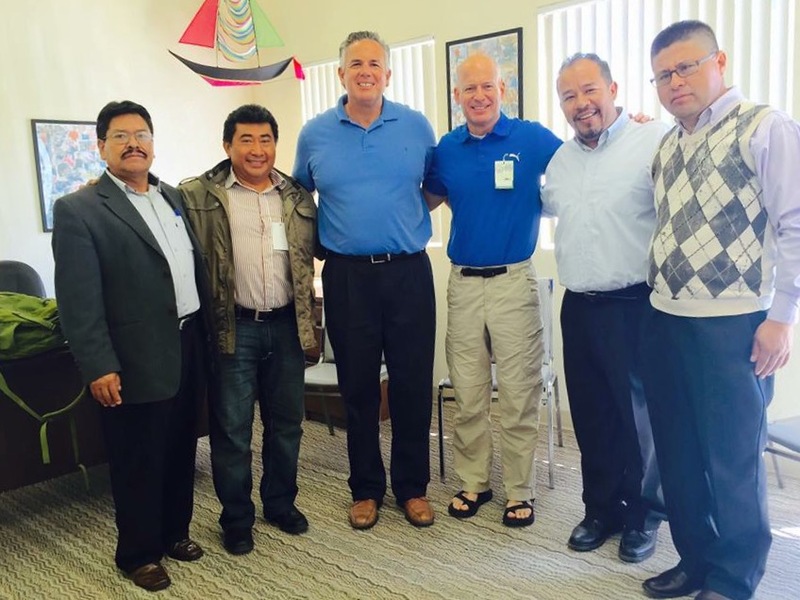 I’ve grown to love these men who lead the churches on the border and the Baja. They are careful to make wise decisions, while willing to take a risk to try something new. God’s Spirit is blowing on the border, and we pray for even more of his presence. We want Jesus to be among us as we serve! God moved and directed as we sought him. We selected 8 candidates that we think have the potential to be good church planters. The assessment event will take place in the first week of November, so pray for the Lord’s continued guidance and leading as we move towards that week. Skyview’s group from last year and our friends from Iglesia Nueva Jerusalén in Ensenada – fun times await! This morning Skyview Presbyterian Church from Denver, Colorado arrives. 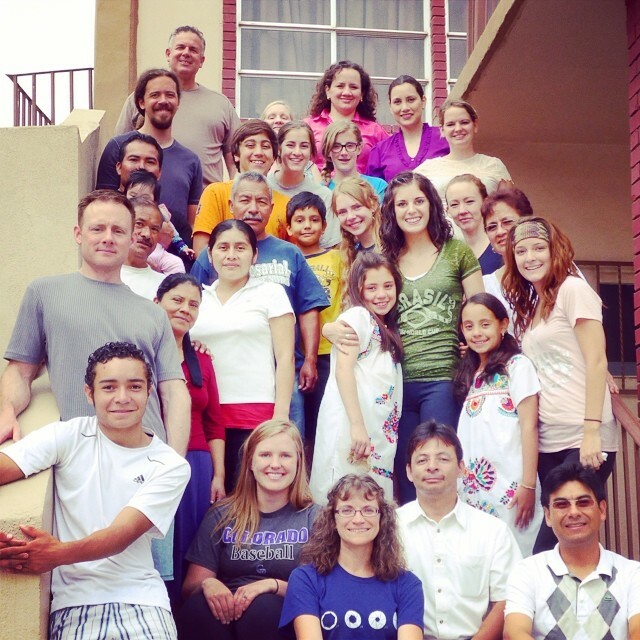 Then we will head down to Ensenada where we will serve with La Nueva Jerusalén (The New Jerusalem) church. This is the second summer in a row that Skyview has come. The churches know each other some, so we are glad to see this relationship continue. 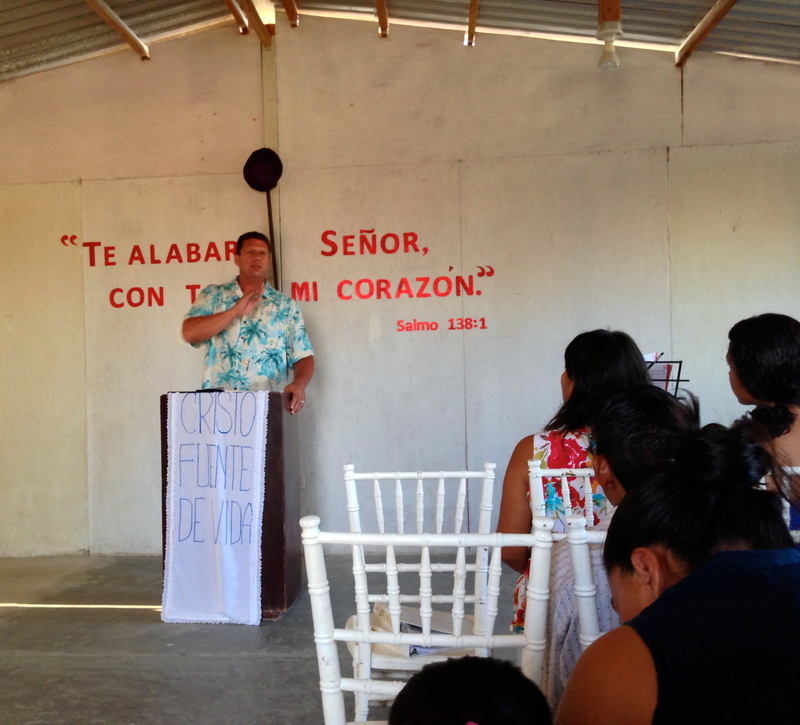 Skyview will be collaborating with La Nueva Jerusalén to reach out in the community through a VBS program. Can’t wait to see what God does! This is another demonstration of Jesus among us. 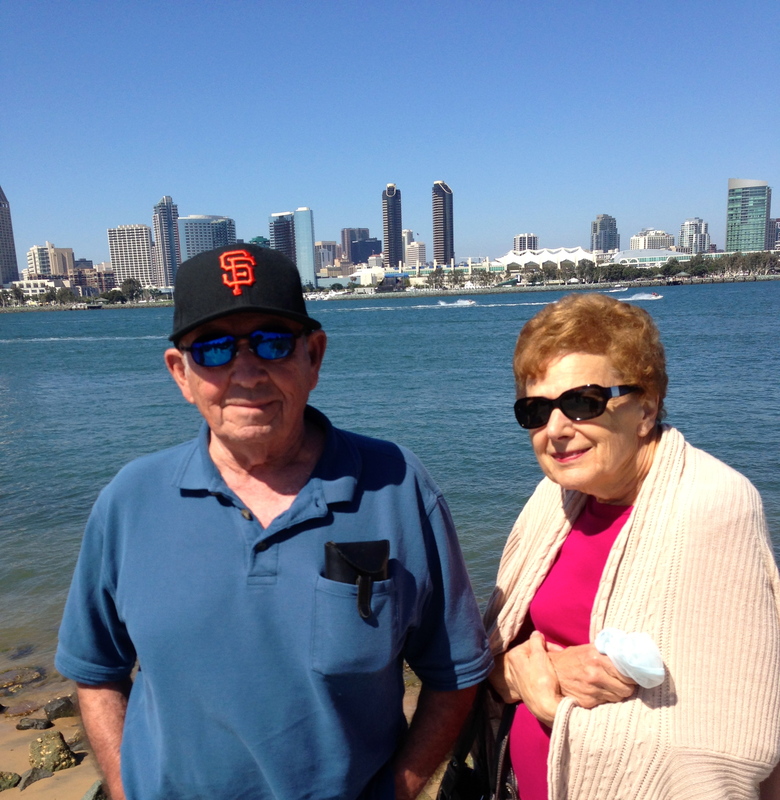 Friday morning, my dad, Ron Diaso had surgery on his carotid artery. He just turned 80 last month, so we had some concerns about the surgery. I’m thrilled to report that my dad made it, and he is now recovering. Thank you Jesus! We see Jesus’ fingers prints all around us. Praise him, Praise him, join the hallelujah chorus. Pray with us that Jesus’ presence will be felt in a powerful way as we minister in Ensenada. We are praying for a successful outreach and that those in the church will be strengthened in their faith. That those outside the church will come to a new and living faith as they meet the Savior! 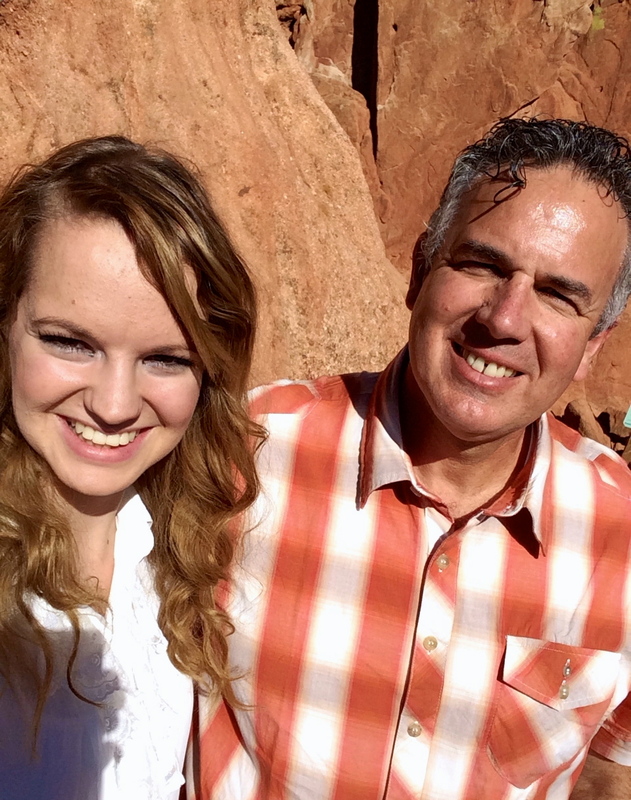 One of the benefits of my ministry meetings and preaching in Colorado this last weekend was that I was able to see my daughter. I praise the Lord for my daughter and the relationship we have. We had such a good time together. She went with me on Sunday when I preached at Sky View Presbyterian. When she wasn’t working or in school we got some good father-daughter time in. I remember when my daughter, Hannah was born that I was afraid to raise a girl. I grew up with two brothers and no sisters. My first two children were boys. I thought I had guys figured out, but I didn’t know what to do with a daughter. Hannah as the baby in the family and my only daughter always has had a special place in my heart. She surprised me in that I realized what a joy it is to have a sweet little girl. Even though Hannah is now a grown young woman, she will always be my little daughter. I like to call her, my beautiful little daughter that I love! My Beautiful Little Daughter that I Love, Hannah! One of the many things that gives me joy as Hannah matures is to see her tenderness towards others, and things of the Lord. 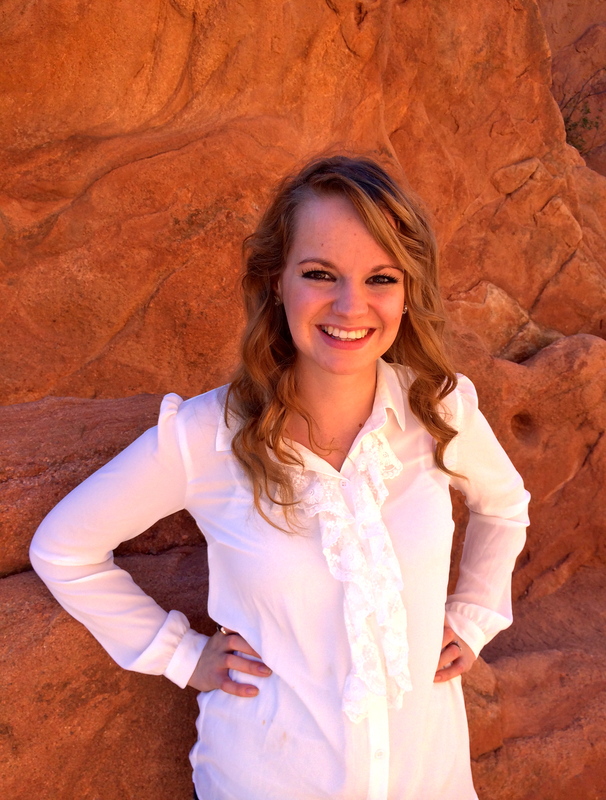 She has a strong desire to know God better, and to grow in her relationship with him. The only bummer is that Hannah lives in Colorado and we live in Southern California. It’s too far away, and I miss her dearly. I’m glad that the Lord provides opportunities for us to visit one another. I am so grateful that she loves Jesus! It is so hard to say good-bye. I can’t wait to see her again. 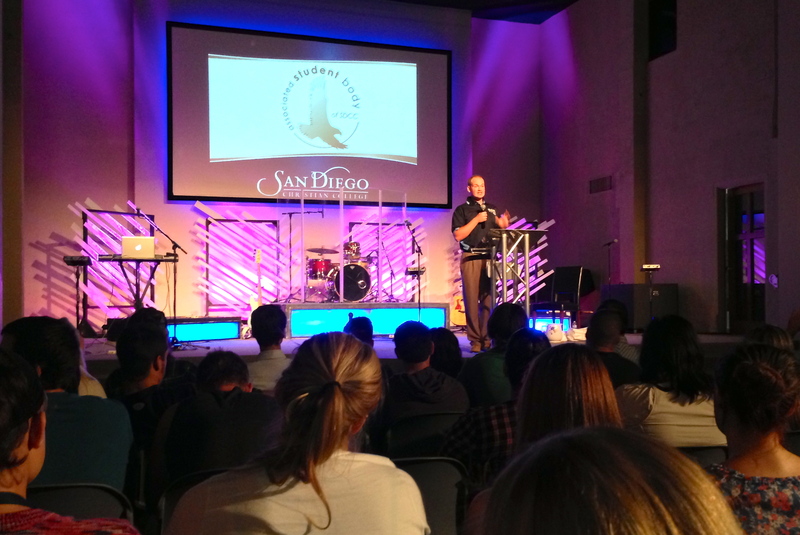 On Wednesday I tweeted a tweet (not sure how to say that, but we’ll go with it 😉 ) about being excited that our oldest son, David Jr. would be addressing the faculty and student body at San Diego Christian College. 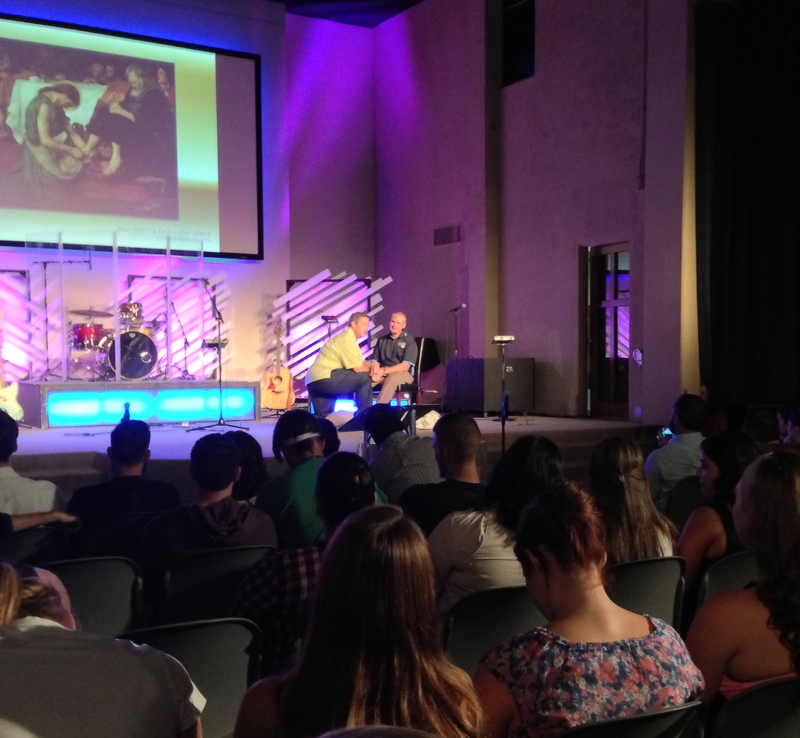 David is the student body president, and they were kicking off the school year with the first chapel. A friend of mine of my seminary days, Maribeth Myers wrote, “proud papa”. Yes that would accurately describe how I felt. I’m proud of all three of my grown children: David, Jr.; Jonathan; Hannah. They are all excelling in what they are doing, and more importantly they love Jesus. I want to praise the Lord for the work he has done in my family, and not boast in what we’ve done. I know that it’s God’s work in their hearts. It was so encouraging to listen David Jr. give his speech at the chapel service. He shared about how he used to get his identity in being a missionary kid when he was a child. Then as he started playing baseball that became a big part of his identity. Over the last few years he’s been growing in his understanding of Christ’s love for him. His identity is in Christ. Jesus loves me. That’s the bedrock of the Christian faith. We can never outgrow that one great, majestic, and simple transforming truth. Once we know Jesus’ love, we can stop using people for their love and simply start loving them as Jesus loves us. Our identity in Christ never changes, once we are in Christ, but we do grow. In the grace of God we do become more and more like our Savior. As we become more like Christ we find ourselves loving and serving others. I pray that each of my children along with those at San Diego Christian College will grow to know and understand the depths of Christ’s love for them. I pray this will be true for Dawn and me, and for you as you read this post! On a side note, I’d like to ask you to join me in prayer for my dad, Ron Diaso. He will be undergoing a heart bypass surgery on September 4th at 7 AM, PT. Pray that the Lord will guide the doctors hands, and that my dad will make it through the surgery. The doctors feel confident going into the surgery, but I know we need the divine doctors care. I will be going up to Fresno this week to be with my parents for the surgery. Thanks so much for standing with us on this journey, and for encouraging us along the way! 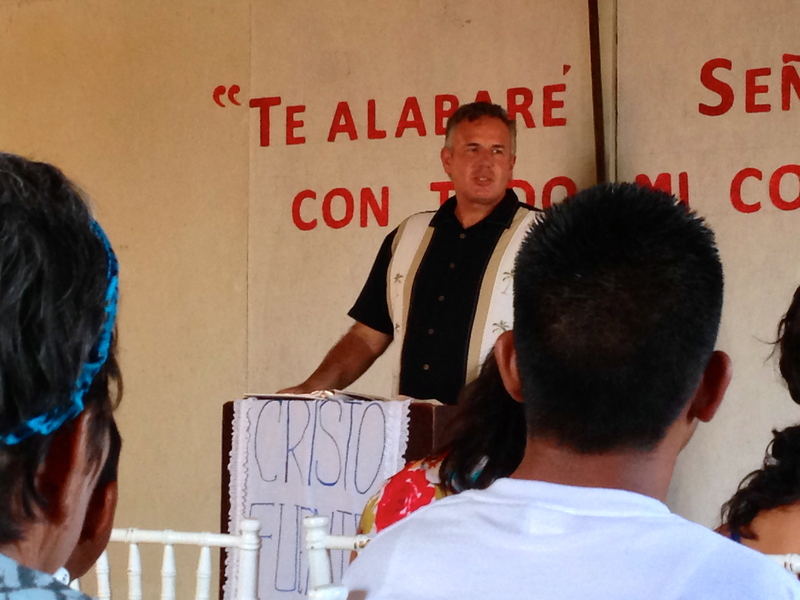 For the last two days I’ve been with fellow missionary, Peter Boling in the Los Cabos area. He’s been showing me around, and we’ve been connecting with some of the ministries here. I would describe Los Cabos as a land of contrasts. There is the beauty of the Pacific, the Sea of Cortez, the landscape and the beach. Then there is the barrenness, the dirt, the cactus and the shrubs inland. Some of the wealthiest people in the world have homes here, and many tourist come to enjoy all that Los Cabos has to offer. In contrast there are people who are struggling to survive, many people living in very humble conditions. 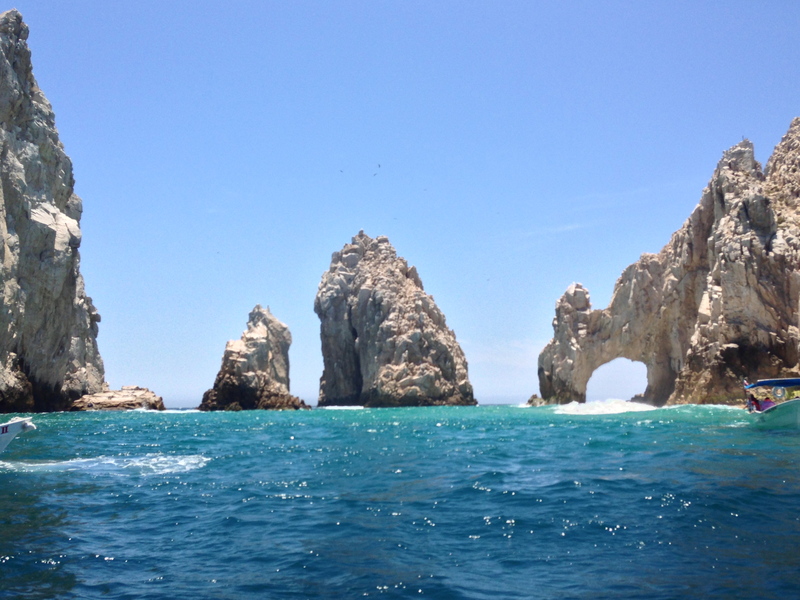 Most of the residents of Los Cabos depend on the tourism for their survival. The tourism has suffered over the last few years, because of the economy and the recent drug wars. It hurts to see some of the people living in the humble conditions they live in. Peter and Jenny Boling have a passion for this area and for the many hurting people. I love watching Peter interact with those that live and serve here. Just yesterday we met a group of 30 young gang members that had recently come to Christ. The Lord is using a Salvadorian hit man and drug runner to reach into the gang community. Emilio has street credibility with these gang members, because of his past. He had a dramatic conversation, and the Lord is now using him in a powerful way. 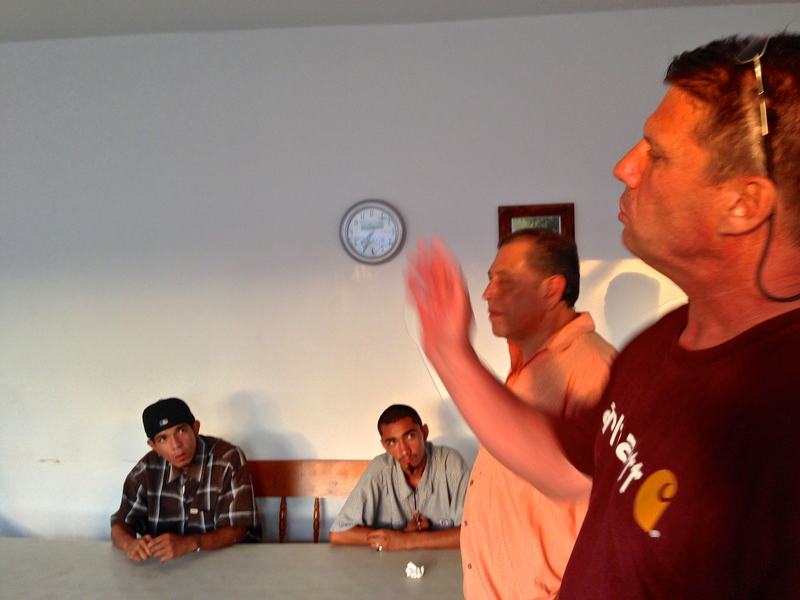 We dropped in on their meeting in the afternoon, and they asked Peter to share his testimony. Peter is a big guy, and he comes from a rough background. He was once involved in gangs and drugs. God got ahold of his heart while he was in prison, and he became a warrior for the Lord. Since, he lived the life that they are living they listen. It’s so encouraging for me to see that behind all the tourism that moves the economy that God is moving in people’s lives. He is touching the hearts of many that are now following Jesus. 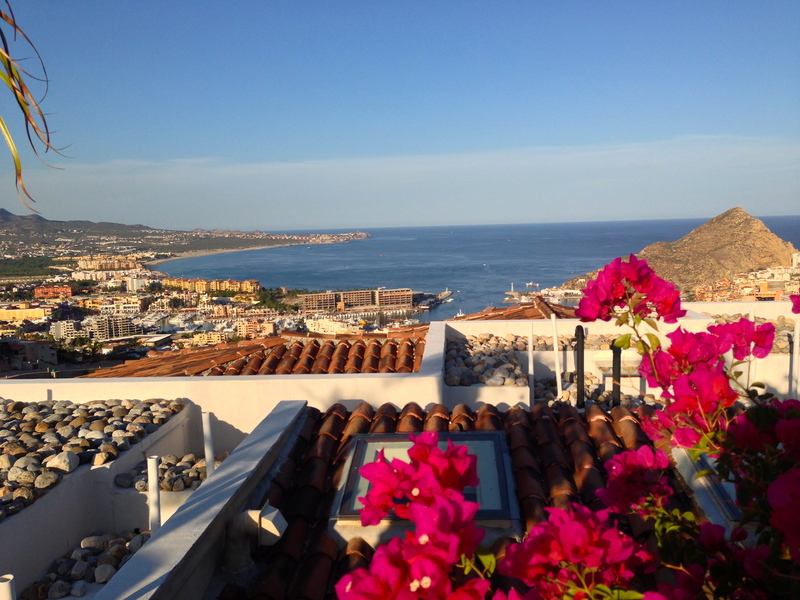 The main reason that we are in Los Cabos is to pave the way for Peter and his wife, Jenny to move here so that they can minister in Los Cabos and La Paz. We want to see ministries strengthened and new churches started. The kingdom extended for God’s glory! Pray with us the God will grant us favor and open many doors for the Bolings to walk through as the look to serve here! God tells us in his kingdom the last shall be first and the first shall be last (Matt. 20:16). Isn’t that opposite of the way we think things should usually be? I guess, that’s the point, isn’t it? I’ve been struck lately as I watch God use humble, unassuming people. It’s not that the Lord doesn’t use the well-known, but a great deal of ministry happens in places that seem small. The ministry might be run by someone who at first glance is not very impressive. Some authors, such as Jim Collins in his book, Good to Great have come to realize one of the characteristics of great companies is that they have humble leaders. Dr. Collins was surprised to find that to be true. 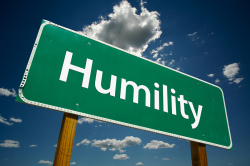 When you think about it, we (the church) shouldn’t be surprised that God uses the humble. Jesus came as a humble servant. His triumphal entry was on a donkey, rather than on a stallion. James encourages us to be humble, as he quotes from the Proverbs. But he gives more grace. Therefore it says, “God opposes the proud, but he gives grace to the humble.” …Humble yourselves before the Lord, and he will exalt you. That is quite a nudge to not be proud. If you are proud, then God will oppose you! I don’t think anyone wants that. If the proud understood what they were up against they wouldn’t want God to be their opponent. It’s obvious who’s going to win that one. Many truths in the Bible are counter-intuitive. They go against the grain of much of what we hear from the culture. I don’t know about you, but I find myself sometimes listening to the wrong voices. O Lord, remind me that you look at the heart. Remind me that you honor the humble. Make me a humble man (woman) as I seek you!